Born in the USA in the 1950s, Pizza Hut now has restaurants and takeaway outlets throughout the UK. 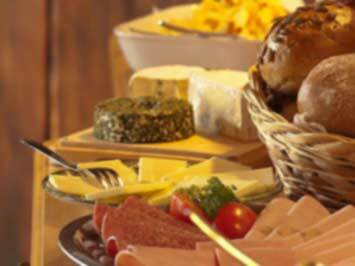 Restaurants serve not only a wide variety of pizzas but also salads, pasta dishes and sides. Pop-in for all you can eat at the lunch time Pizza Hut buffet to get more for your money. The full Pizza Hut menu can be found on the website, as well as restaurant and delivery details. Be sure to check the website for the latest Pizza Hut voucher codes, offers and deals. Extra savings can be made with Pizza Hut Happy Hour, through the week between 3-5pm. Happy Hour isn't available all of the time, but when it is you will need a voucher to take part. Sign-up to emails to receive it. Pizza Hut came to the UK in 1978 and now has 700 Restaurants and Delivery outlets up and down the country. Pizza Hut offer diners unlimited free refills on all soft drinks and shakes. 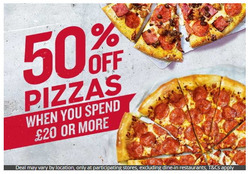 Sign-up to the email newsletter to receive Pizza Hut coupons for deals like buy one get one free and 50% off.